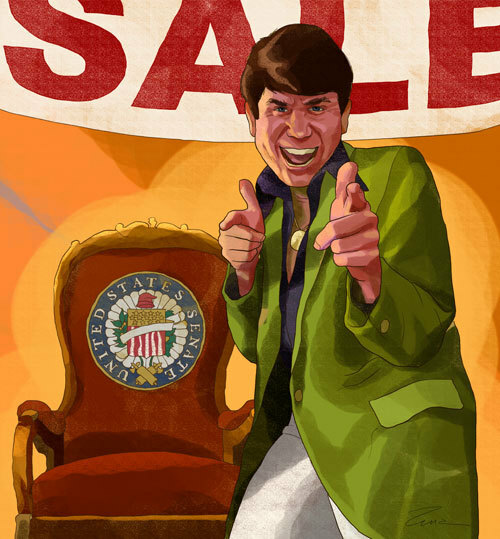 Locating Blagojevich: A Nation of Shopkeepers? Well, Adam did try and warn them but who was listening? They took on board his free market theories and jettisoned the cautions he issued. Blagojevich was the eventuality. Zina Saunders captures the moment brilliantly in this irreverend cartoon. Excellent caricature of a corrupt and extremely depraved politician,the Governor of the state of Illinois. Thanks for turning me on to Zina Saunders. I have previously added her Palin artwork to my social sites after you posted them. She is an excellent artiste. yes, she is isn’t she? i like her sense of humour and satire very much. first-rate.